EcoHouse and garden tours are available for the individuals, schools, universities and community groups by arrangement. Please contact us to book your tour. Swing by and visit our EcoShop in person, or shop online. The EcoCentre garden is a shared community plot, utlised by many local garden and urban agriculture lovers. 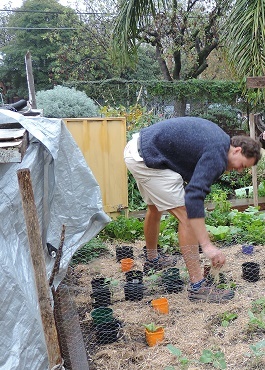 It also acts as an important educational and learning space for young and old, demonstrating a seasonal array of sustainable gardening techniques and the opportunity to learn hands-on skills. Our vision is to become one of Australia's leading community gardens and we are currently focussing on growing heirloom varieties of plants.